Activity: A walk with a Ranger to explore Durlston’s nationally important seabird colonies. Meet at the castle reception. 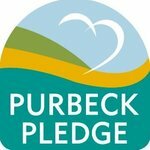 This May we are asking people in Purbeck to pledge to ‘Get Outdoors, Boost Wellbeing’ to encourage those from all walks of life to make the most of the amazing outdoor spaces and nature throughout the Purbecks and to consider how this can boost mental health and wellbeing.